North Korean leader Kim Jong Un visited China this week on an unofficial visit, China's state news agency Xinhua reported on Wednesday. It was the reclusive leader's first foreign trip since taking power in 2011. 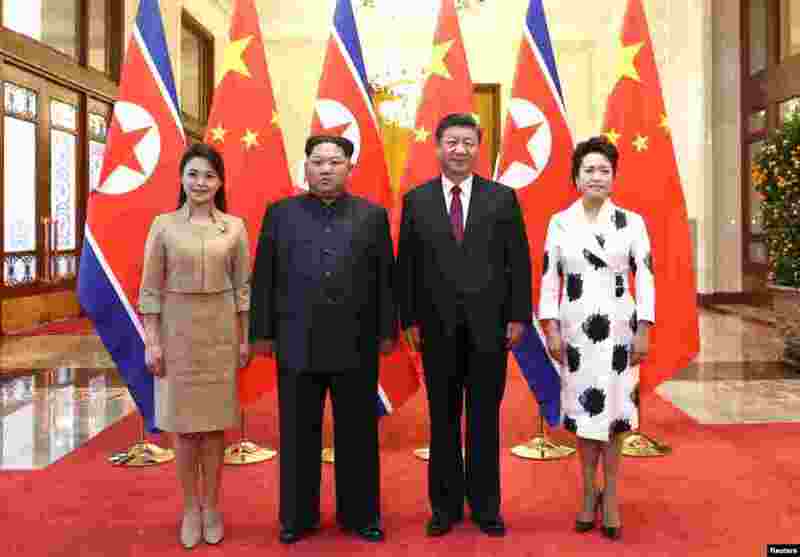 1 North Korean leader Kim Jong Un and his wife Ri Sol Ju pose for a picture with Chinese President Xi Jinping and wife Peng Liyuan at the Great Hall of the People in Beijing, China, March 28, 2018. 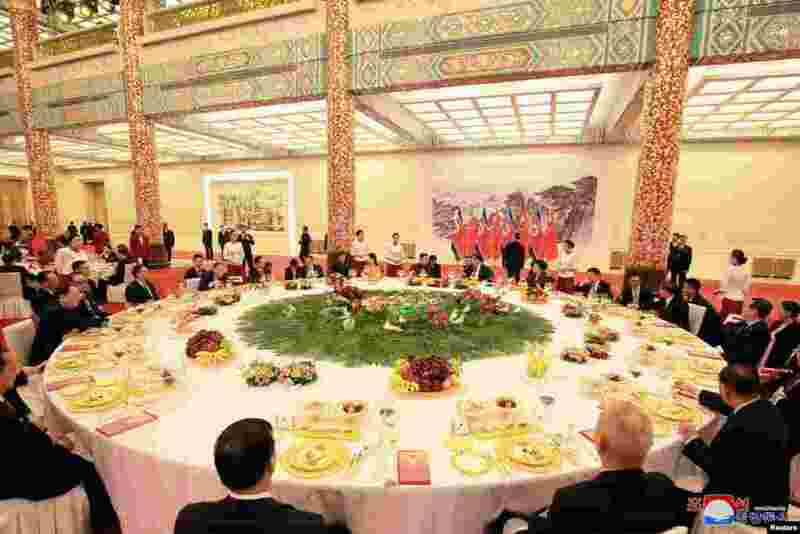 2 North Korean leader Kim Jong Un and wife Ri Sol Ju, and Chinese President Xi Jinping and wife Peng Liyuan attend a banquet in Beijing, China, in this undated photo released by North Korea's Korean Central News Agency (KCNA) in Pyongyang, March 28, 2018. 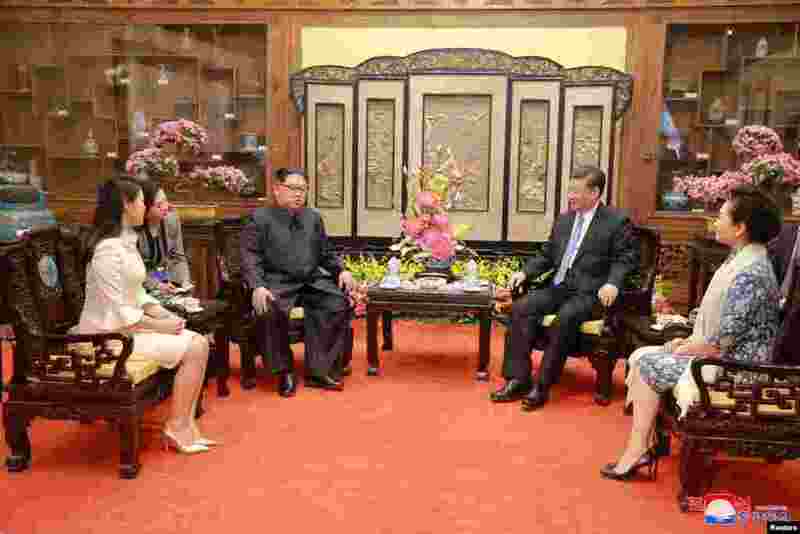 3 North Korean leader Kim Jong Un and wife Ri Sol Ju, and Chinese President Xi Jinping and wife Peng Liyuan meet in Beijing, China, in this undated photo released by North Korea's Korean Central News Agency (KCNA) in Pyongyang, March 28, 2018. 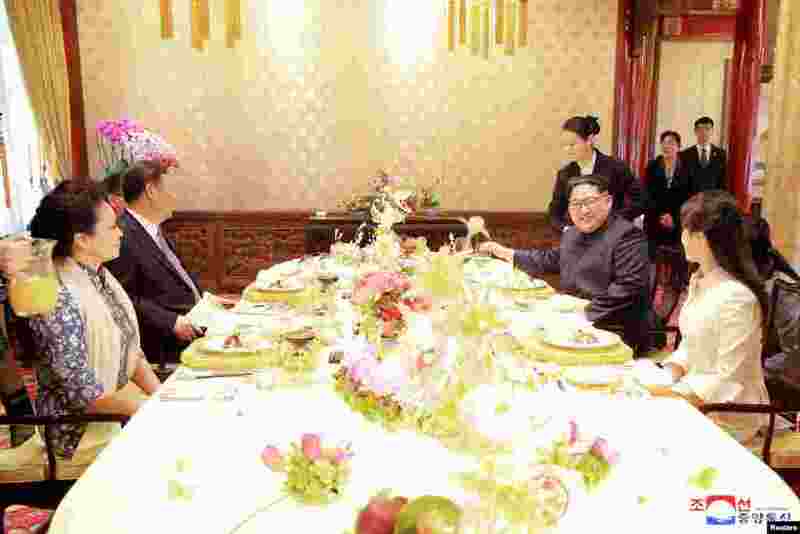 4 North Korean leader Kim Jong Un and wife Ri Sol Ju, and Chinese President Xi Jinping and wife Peng Liyuan meet in Beijing, China, in this undated photo released by North Korea's Korean Central News Agency (KCNA) in Pyongyang, March 28, 2018.